Inspired by the «drapé» of dresses, Drop leads with incredible delicacy an organic shape that functions as a simple handle. Designed to be discret, Drop’s rounded edge fits with elegance into any part of a domestic or contract interior: next to a beloved sofa or in a lounge area. 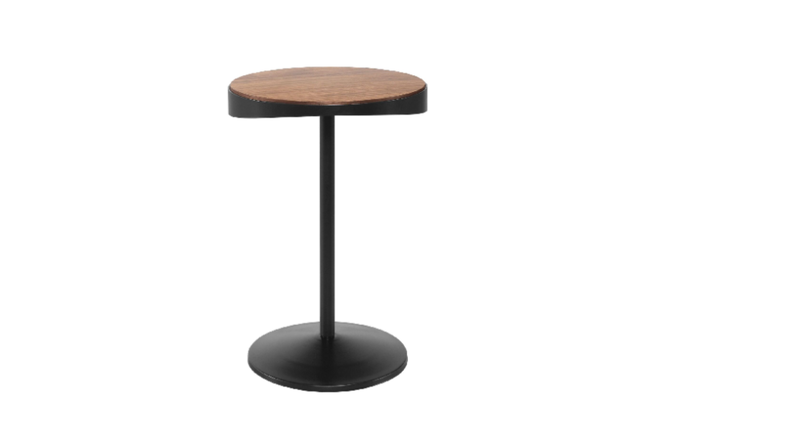 With a wide choice of materials available for the top, this simple side table can truly adapt to any room. Drop is available in two heights allowing for simple compositions to be made. "Adrien de Melo works in many fields (objects, furniture, scenography, interior architecture), with a work philosophy of conceptualising non-standard objects, spaces or systems destined to be manufactured, where design constitutes an integrated architecture, eliminating hierarchies and pre-established ideas. Since 2006, he works solo. He has collaborated on many projects with architects, designers such as Frank O. Gehry, Didier Fiuza Faustino, Adrien Rovero, Périphériques, GPAA; contemporary artists such as Dan Graham, Daniel Buren, Subodh Gupta, Camille Henrot, Claude Levéque, Bertrand Lavier, Kader Attia, Michelangelo Pistoletto or Peter Kogler. He is a founding member of happy architects."